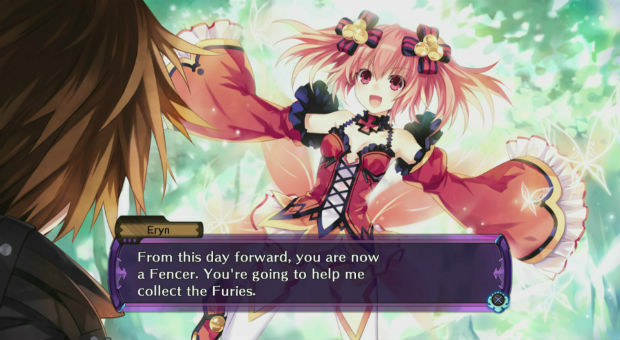 NIS America has released the first batch of English screenshots from the upcoming Fairy Fencer F, releasing in North America on September 23 and Europe on September 26. Fang - The main character and a foul-mouthed Fencer. He's something of a hedonist with a lazy streak, but he always pulls through when he's needed. Eryn - Fang's fairy partner. She thinks Fang is an idiot and is rather condescending to him. Tiara - A refined Fencer who takes things quite seriously. 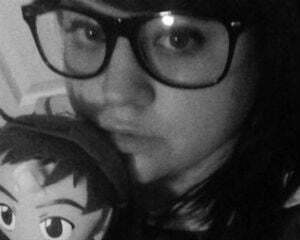 She might be slightly masochistic, but prepare to be terrified if you get her mad. Harley - A Fencer and fairyologist, she's got an unhealthy obsession with all things fairy. She's rather scatterbrained when it comes to anything outside the realm of her research. Bahus - Harley's fairy partner. He looks tough, but he's actually an accomplished cook and domestic caretaker. Pippin - A mysterious Fencer full of wisdom. How does his brain operate with a sword stabbed through his head? Who knows? Soji - Pippin's dashing, gentlemanly fairy partner. He's a well-mannered butler who's often mistaken for a Fencer. Sherman - A Fencer who desires world peace and wants to keep Furies out of evil hands. He exudes style in his dress and speech. That's probably why he and Fang don't get along. Ryushin - Sherman's fairy partner. Serious, stern, and robotic in appearance - he can be stubborn and unwavering in his thoughts at times. Obviously, Pippin is the cutest character. Eryn sounds like your run-of-the-mill tsundere, but I'm hoping she's a little more than that. I'm also hoping that Fang isn't your average, boring dude who suddenly finds himself in the midst of tons of beautiful girls who want to jump his bones. Because that's exactly what he looks like. Harem fodder. At any rate, it's looking good, as far as aesthetics go. I'm certainly willing to give it at a try as a Compile Heart fan. Who else is going to be picking it up?